You’d think it would be easy to blog a little more often with piping hot, fresh material every morning, but for Pete’s sake, it’s all I can do to keep hiding and posing the elf – blogging just adds another layer I can’t keep up with. 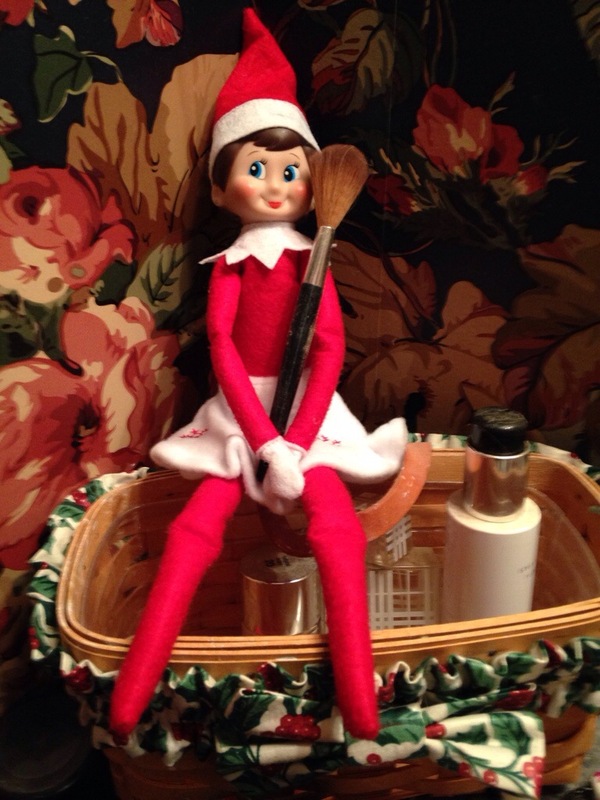 Our Elf on the Shelf is a girl. So she grabbed a skirt while on her overnight adventure back to the North Pole. And then she played with some make-up, and I would yell at her, but for all I know, she’s old enough and her elf parents really gotta make that call. 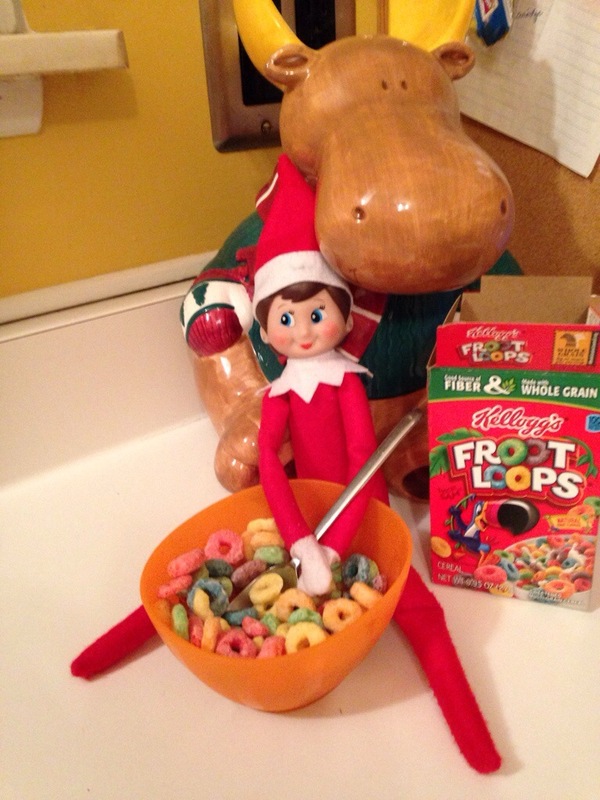 The night before, Sugar Cookie, our Elf on the Shelf, got into a mini box of Fruit Loops. Seriously, we were running out of funny ideas. Something.